Founded in 1872, Kimberly Clark and its well-known paper products are an indispensable part of life for many Americans. In 2013, the company found a two-story space on the top floors of the Civic Opera Building, and called on Eastlake to work with a Madison-based interior designer to coordinate and implement the design. Kimberly Clark called on us again in 2017 to expand and renovate the award-winning design in response to the new leadership’s culture-driven goals. They requested that the new space weave in elements of the company's history, connecting it to the headquarters in Northern Wisconsin and the original Chicago sales office in Willoughby Tower, a 1920s landmark. 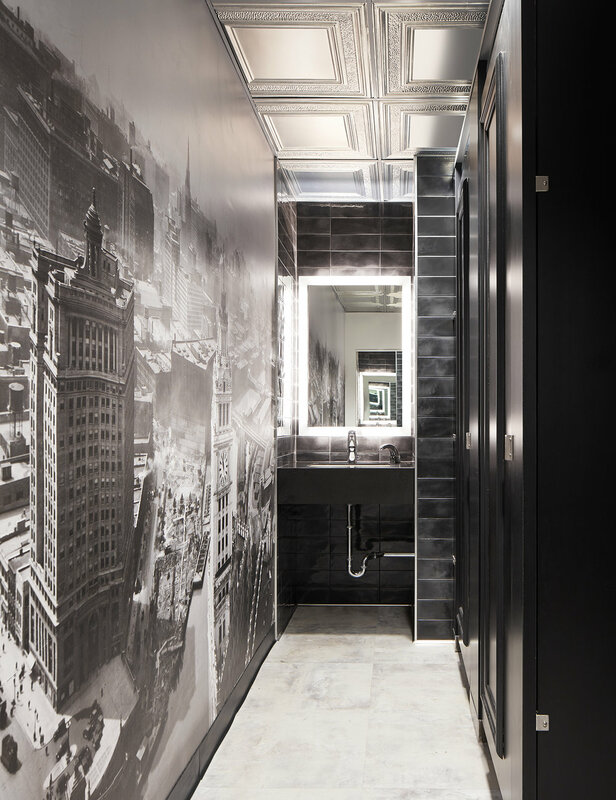 Working with Kimberly Clark’s marketing team, we incorporated enlarged vintage photos and line drawings into the design as murals and film on glazed partitions, bringing images of the past into the present. In the cafe, motifs from Willoughby Tower were transformed into wall covering, and a card catalog was created for product display and file storage in one of the adjacent office areas. Historical elements extend to the decorative metal ceilings, and the subtle art deco motif on the stairway railing. Our design process included an expansion to the balance of the floors, as well as a rethinking of the existing layout to make it more responsive to work style changes. We shifted the location of a stair and added more informal meeting areas. We also upgraded existing restrooms, adding humanizing touches consistent with the company’s culture. Unique touches like velvet banquettes and rattan hideout chairs give each space an upscale elegance, and contrast with the rustic, reclaimed wood flooring throughout. 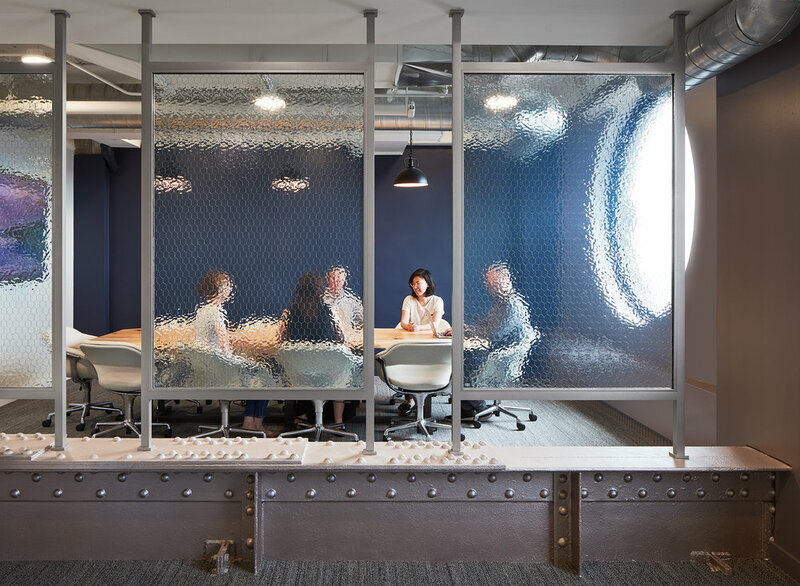 The new spaces successfully harmonize with the original design, and provides more visibility of Kimberly Clark’s history within the context of a current workplace.